The answer is here which is a very simple method, i have some paid methods too, i didn't share them because no one is interesting in paid methods, if you are then comment below i will make a seperate post for them. If you want to read your girlfriend's(mainly lol) or others WhatsApp Messages or chat history without their knowing online or if you want to read anyone's WhatsApp Messages or chat history without having their mobile phone then here is a trick for you. By this you can spy their WhatsApp and you can read,chat, and also you can see their blocked contacts and their contacts also by this method. 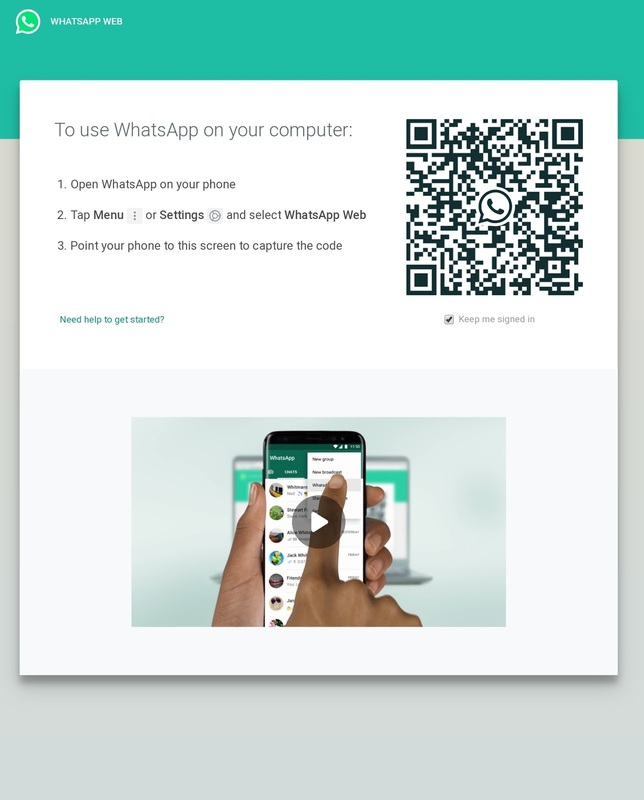 This is a trick that can be used to track someone's WhatsApp completely, so basically it is a feature provided by WhatsApp so that anyone can use his/her whatsapp on desktop or on any other platfrom's browers without installing whatsapp or without setting up account there. 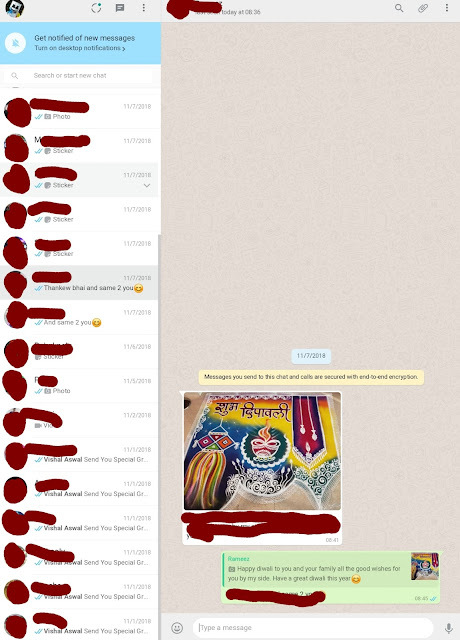 So here is the full detail how you can use this feature of WhatsApp web to track what your loved ones are doing. All You need is his/her mobile phone for just for 5 secs unlocked so that you can open whatsapp application, what you need to do then, you just have to scan a QR code from their whatsapp and done that's it, now close all applications and dont tell her or anyone what you did, and after that you can see their chats on you mobile device or laptop. 1.Take the Victims Phone and open WhatsApp. 2.Now go to the setting and the click on WhatsAppweb. 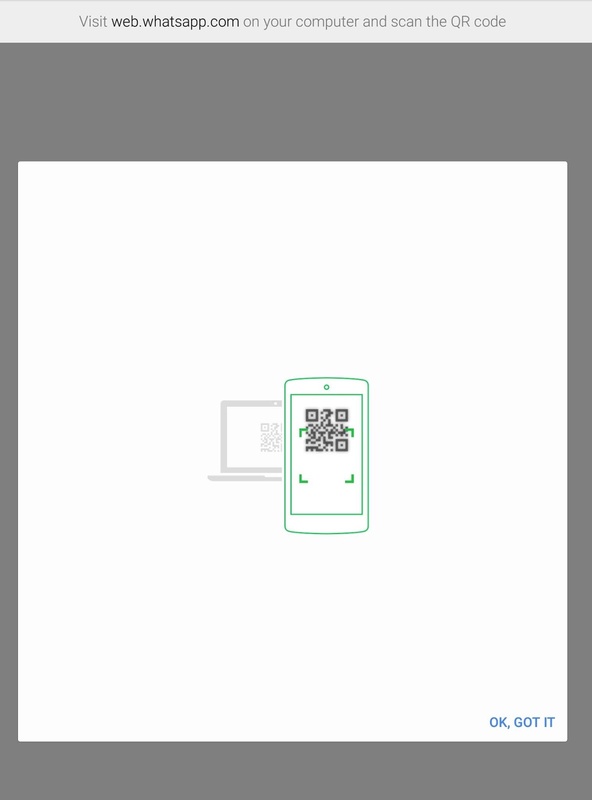 3.Now click on "Ok got it" option and then give camera permission now you are ready to scan the QR. 4.Now in your phone open web.whatsapp.com and turn your Browser's desktop mode on or go to settings and click the option "Request a Desktop site". Do not share this with the victim. Do not delete you browser's history otherwise you have to setup it again. He/She if they know about the WhatsApp web feature then they can easily know that who is checking their WhatsApp by just clicking the WhatsAppweb option in the WhatsApp application it will show like this there. 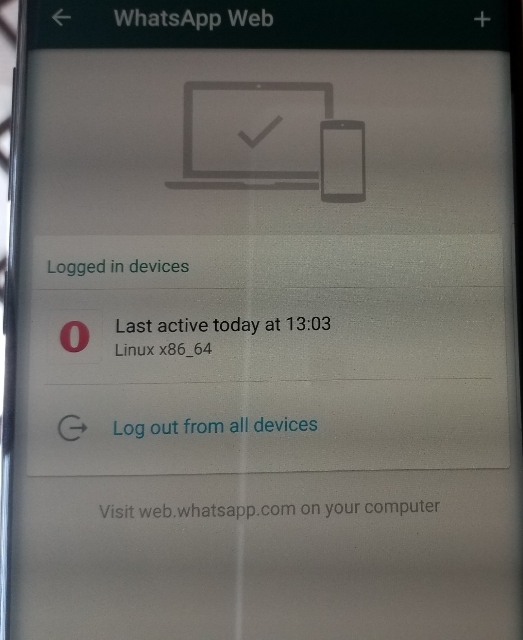 This is permanent, it means that once it is setup it will remain working until you logout from it.So once dont you dont have to worry about it. Use of OPERA BROWSER is preferred(not opera mini). I also have some other methods by which you can track anyone's calls history, Messages and others this absolutely free. If you want me to post that method then comment below. I have personally suffered a fair share of infidelity by my ex wife who had multiple affairs during our marriage. I got a divorce after catching her in the act severally, however I needed extra help to do this so I had to hire a private investigator with the name called BILLHACKWIZARD- Everyone knows that cheating partners are the most sneaky and her phone was always glued to her so I could not have physical access no matter how much I tried. 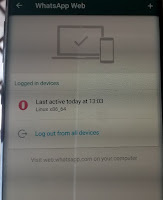 The good thing is that this Private Investigator didn't even need to physically have my wife's phone to get in, he hacked the device and diverted all my wife's messages directly into my phone. If you need similar help contact him via the gmail billhackwizard @ gmail dot com or text/call him on +1(314) 833-9209 ) AND you can chat him up on Whatsapp messenger +1(314) 635-7319 ) I really hate infidelity and I am trying to help everyone that is in such an emotionally abusive relationship so thank me later.